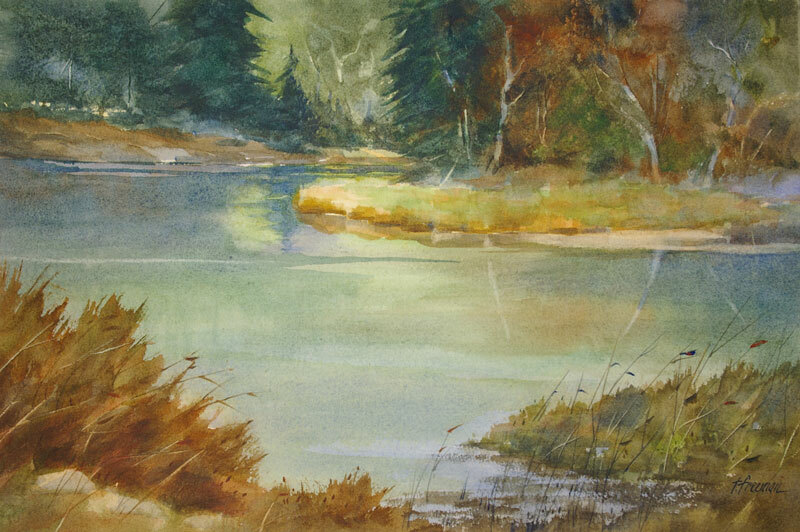 Thomas Freeman Original Watercolor Painting: "Pond at Silver Lake"
You have to go back in the woods to find this quiet little pond. David and I always search it out when we travel to Silver Lake. Often times there are many ducks that stop for refueling. Part of the background is painted dark, which is somewhat tricky with watercolors. To do the tree limbs, while the painting was still wet I stripped out the color with a credit card cut in half.